Spelling. We had to do something. A year ago (or so) we started in on Spelling Workout. It just felt like busy work book stuff, a waste of time. I dropped it, and decided to wait on spelling. and it is not inexpensive. So we waited. I had it in the back of my mind that Andrew Pudewa had mentioned that Sequential Spelling was similar in theory (I could be wrong about that, certainly don't quote me). I checked out their web site, where conveniently they have the first eight lessons available for download. Levi and I got down to business, and it was an immediate fit for us. And it didn't break the budget. Perfect. We LOVE Sequential Spelling at our house! I am glad you shared this. We started spelling this year and I am using Phonics Pathways, which I use for reading too. We are doing a good deal of it orally and so far it is going well. I had planned to go with the Phonetic Zoo, but I may look at Sequential Spelling and try their lessons. It made the most sense to me too! I have the first three books. huge advocate of sequential spelling here. It just makes sense, and it works! We're doing this program as well. My 6th grader is doing the Phonetic Zoo and loving it. Spelling seems to be one of those subjects where they easily "get it" or they struggle. We've just started with sequential spelling, and my girls love it, I think it's a great spelling programme. 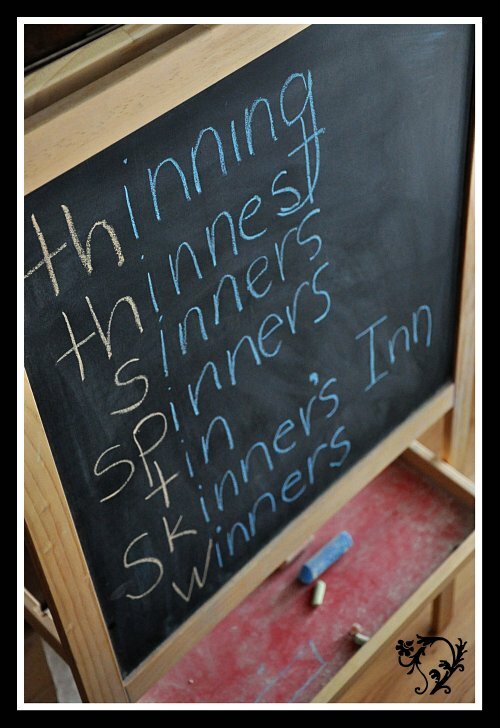 We might have to try this too-we're doing spelling workout and are feeling the same way about it. Not so great, thanks for sharing! Can't wait to go check it out! I'll have to check that out. I've really enjoyed the Andrew Pudewa lectures I've listened to, and I'm with you on the Phonetic Zoo deliberations. Have you come across Spelling City? Our fallback is always our Tuesday Spelling Bees. Geared to age level. Good times. Another big fan of Sequential Spelling...we refer to it as "SS" here! And I love that it doesn't break the bank! I started using seq. spelling with my fourth child, struggling speller who is nine, after using something different for 12 years. We are enjoying spelling so much and I've seen a big improvement. Ooh, that's what we're using, LOVE IT! It has inspired some 'deep' conversations at our work table about how life requires you to make mistakes sometimes....good stuff. I'm going to have to get our Sequential Spelling back out again and give it another shot. It wasn't a good fit when we first tried it a couple years ago. But things change and hearing all these rave reviews makes me want to try it again! Ahh! You know how to sit me down for a little chat here. This was helpful. Thanks! I know what you mean. We use Spelling Workout. The kids don't complain but I have thought it might be a waste of time (all of 6 or 7 minutes a day that it takes) My boys have maybe missed one spelling word each this entire year on tests so I wonder why I am doing it! But it does reinforce phonics rules, which I love. And since it takes only about 30 minutes per week, we've stuck with it. Perfect timing! We used Spelling Workout last year too, and he just got tired of doing worksheets again and again. I shelved it and have been looking - thank you so much for pointing this out. We're going to give it a try. Spelling is a hard one, for sure. Rejoicing with you that you found an affordable fit. We got Spelling Power as a hand-me-down. It was total providence because it was just what my daughter needed. Ooh, thanks for sharing the freebie! My oldest needs a bit of help with spelling, and I've been looking and looking but having the same problem. Maybe this one would work! We use Sequential Spellling, too!